In Ukraine the Pentagon is re-enacting its Vietnam War-era scenario of “containing Communism”, a Polish newspaper wrote on Thursday. “Ever since the start of the unconstitutional revolution in Ukraine we have been dealing with the so-called “counterterrorism operation” Kiev launched more than a year ago to annihilate the Donbass population and ruin the region’s economic and cultural infrastructure,” Obserwator Polityczny wrote, adding that chances of a further escalation of the conflict remained high. “The presence of additional troops in the region in the form of missile-protected mechanized units with sea and air support means that we are in for a dangerous scenario, which has not yet been implemented there,” the author warned. 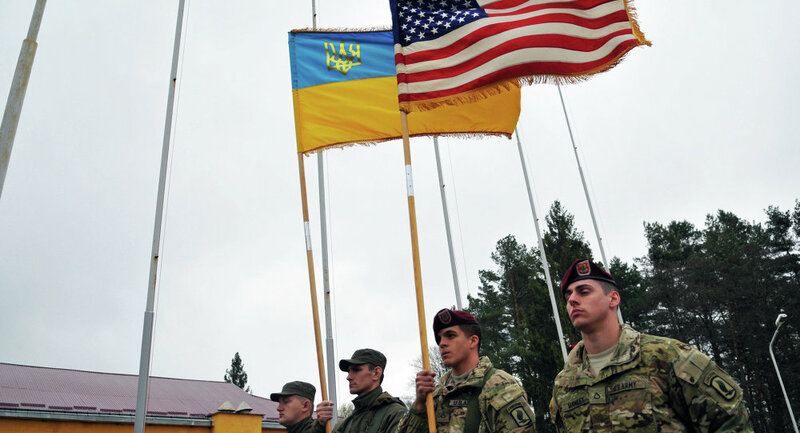 “What we see happening in Ukraine is a “Vietnamization” of the conflict where the US military supports a local puppet regime and its henchmen to prevent people from uniting and winning freedom,” the paper wrote. All this brings back memories of the Vietnam War when an advance unit of American military instructors and observers arrived in the country, followed by military hardware and, finally, by thousands of GIs to handle those weapons. “US troops already have their boots on the ground in Ukraine, which means that a repetition of the Vietnam War scenario looks very much possible,” Obserwator Polityczny warned.